It all starts with YOU. Over the years, thanks to our franchisees and customers, we have donated more than $2 million dollars to charities. A portion of each sale goes directly to a charity. Just by selling our books and gifts, YOU can create meaningful change in the world. 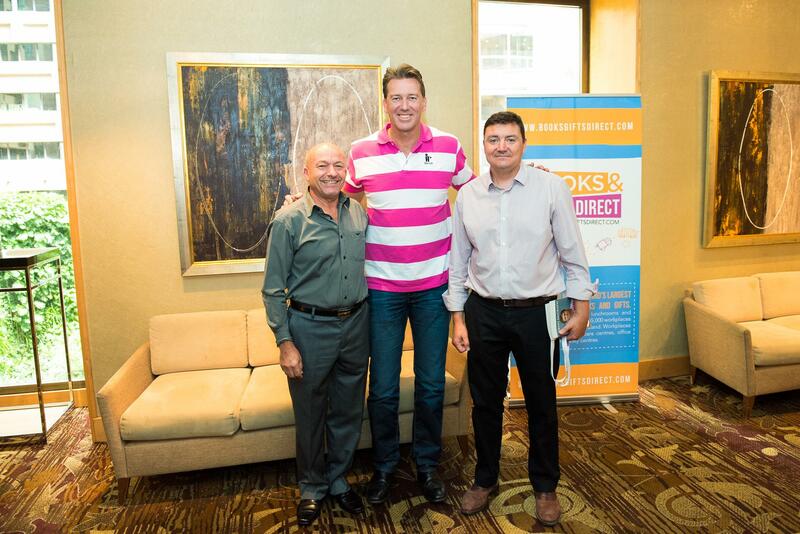 Glenn McGrath thanks Books and Gifts Direct for all of our efforts! Every act of giving counts. $2 million dollars and counting. We have raised over $200k and are still going strong. As a corporate partner, we support McGrath in achieving their mission of placing Breast Care Nurses in communities across Australia, as well as increasing breast awareness in young people. We have raised over $164k with ongoing fundraising efforts. This invaluable service brings children from all over New Zealand to Starship Children’s Health to receive life saving care. Our efforts go directly to supporting the year round Starship National Air Ambulance Service that flies top medical experts to life-threatening emergencies around the country. We have raised over $428k with more fundraising in the works. Through our efforts we have helped provide vital funds to support everything from state-of-the-art medical equipment to staff expertise, play areas and research programs at Princess Margaret Hospital. We have raised over $679k for Make-A-Wish, which ensures that no child misses out on the life-changing and lasting difference a tailor-made wish makes. Little Heroes Foundation raises funds towards essential equipment and services for seriously ill children and their families. We have raised $155k to support them. $210k has gone to support this critical care aeromedical retrieval service and charity that provides helicopter rapid response and rescue services. $341k was donated to the RCH Foundation to help their sickest and most vulnerable children.